The General Meeting was hosted by Czechoslovak Hussite Church and EYCE’s Czech member organisation, the Youth Committee of Ecumenical Council of Churches in the Czech Republic. EYCE is deeply grateful for the support, care and endless energy invested in welcoming delegates and guests of EYCE’s 39th General Meeting. We would like to express special gratefulness to the stewards during the General Meeting – Kristyna Mlynkova, Hilary Keachie, Pauline Rosselin and Valentin Graeter. During the 39th General Meeting Executive Committee elections took place and the following people have been elected to the EYCE Executive Committee – Benjamin Mlynek (Hussite, Czech Republic) as the Chairperson, Lisa Schneider (United Protestant, Germany) as the Vice-Chairperson and Sini Tyvi (Lutheran, Finland) as the Treasurer, as well as Peter Demuth (Lutheran, Romania) and Jakub Nieviadomski (Reformed, Poland). We warmly welcome the newly elected ExCo members to the EYCE community and wish many blessings for the term they will serve for EYCE. EYCE would also like to thank the Executive Committee members, who will not continue their work with the council – Catharina Covolo, Adriana Florea, Zofia Kozlowska-Socha, Andrea Aprile and Slavi Spasov, for their commitment to EYCE and all the work they have done during their term with EYCE! We wish all the best for their future and activities outside of EYCE! EYCE was happy to welcome many guests to its 39th General Meeting from the organisations in partnership with EYCE, such as the European Youth Forum (YFJ), the World Student Christian Federation Europe (WSCF-E), European Baptist Federation (EBF), Fellowship of Orthodox Youth SYNDESMOS and Conference of European Churches (CEC), as well as special guest – bishop of the Czechoslovak Hussite Church Juraj Dovala. We would like to thank all the guests for their presence during the 39th General Meeting and for their essential contribution to the content of EYCE’s work! 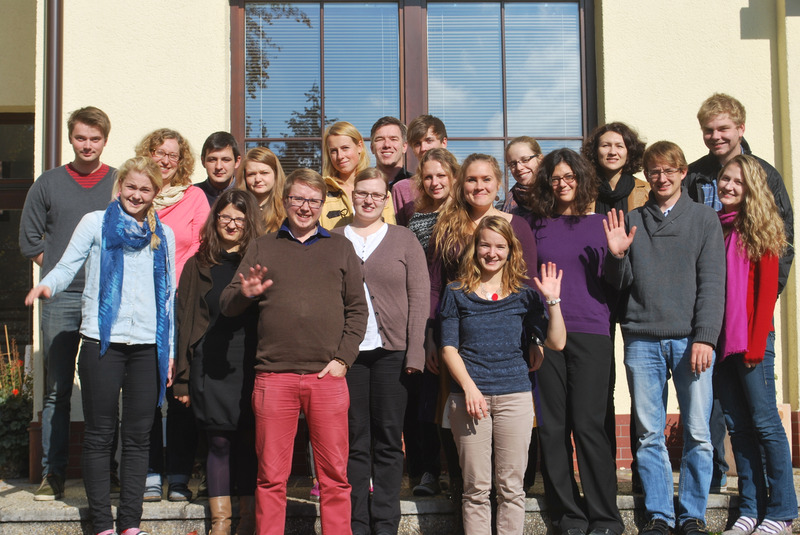 EYCE is happy to welcome a new member organisation – European Methodist Youth and Children (EYMC) – and is looking forward to fruitful and long standing cooperation. EYCE will be enriched by the contribution of the EMYC to the programme of EYCE! During the week of the General Meeting the thematic work of the past two years was evaluated and the upcoming work planned. Through many interesting and challenging discussions, and long working hours, new strategic approach to the work of EYCE in different areas, such as programmatic work, external relations and youth politics, finances, and quality and membership support was introdouced.